This lovely beast is being re-homed today, it has been refurbished with a Mushkin Callisto Solid State Drive, Windows 7 Professional. Internally a Core2Quad Q6600 processor running at 2.4GHz, 8MB L2 cache,1066 MHz FSB, 4GB Ram, Abit IP35-PRO - Intel P35 LGA775 motherboard, 3.6TB of storage and 10 USB ports. 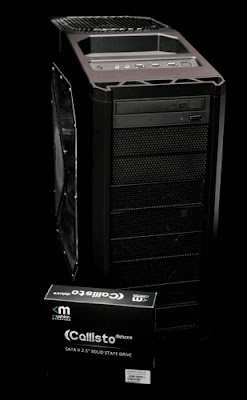 All housed in an Antec 900 Ultimate case. Refurbished??? That sounds like a brand new machine! Was there anything left of the original?